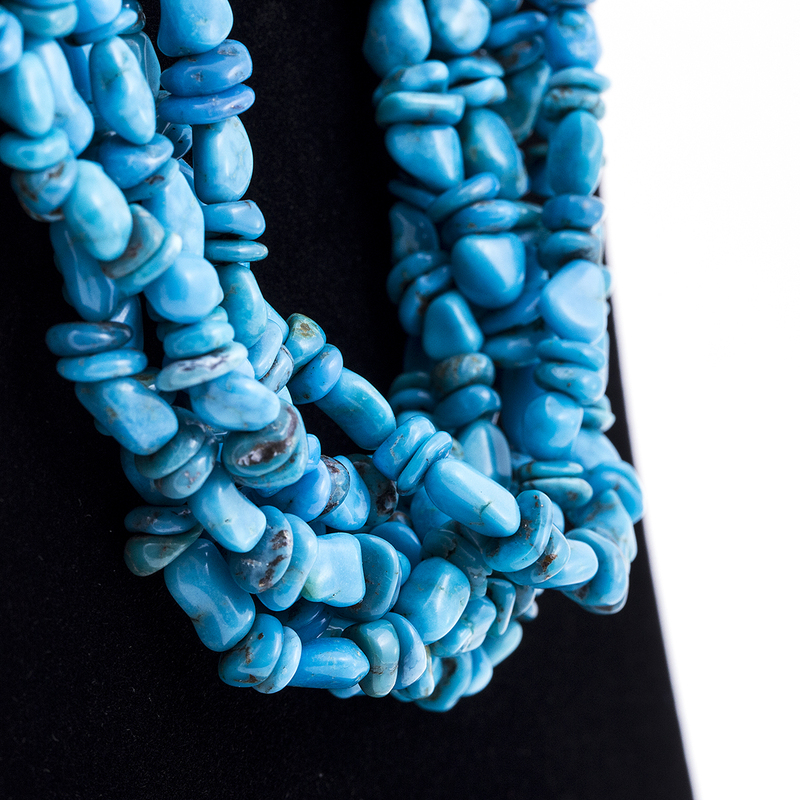 Show off your exquisite fashion sense with this bright Turquoise and Penshell Bead necklace! The 6 strands feature beads in an unusual pattern alternating larger beads with flatter for a unique effect. 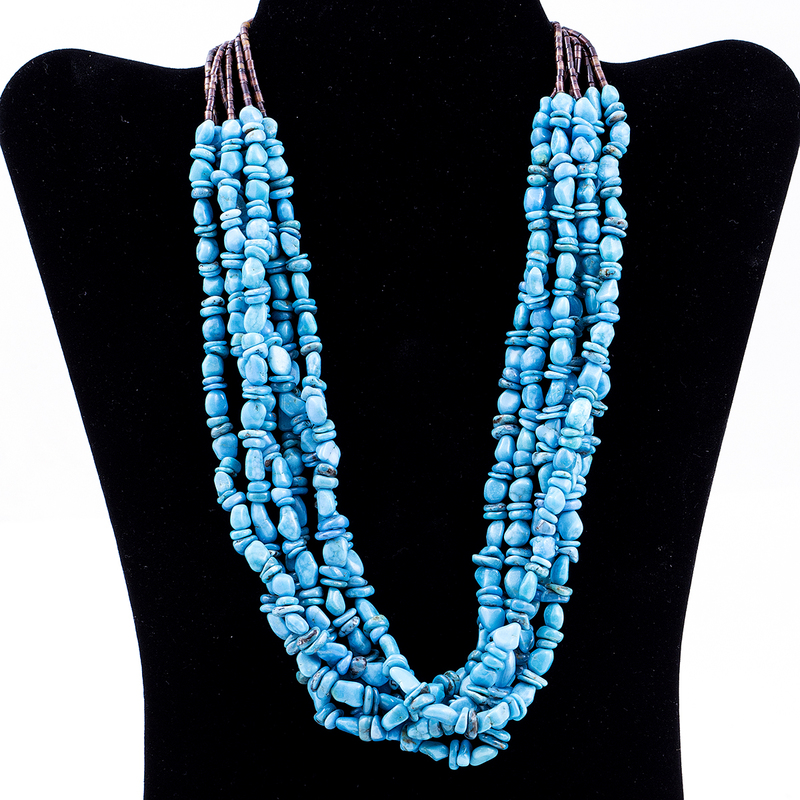 Handcrafted in classic Native American design, this Necklace completes any Southwestern look! Necklace measures 21 1/2″ in length end to end with a toggle clasp. 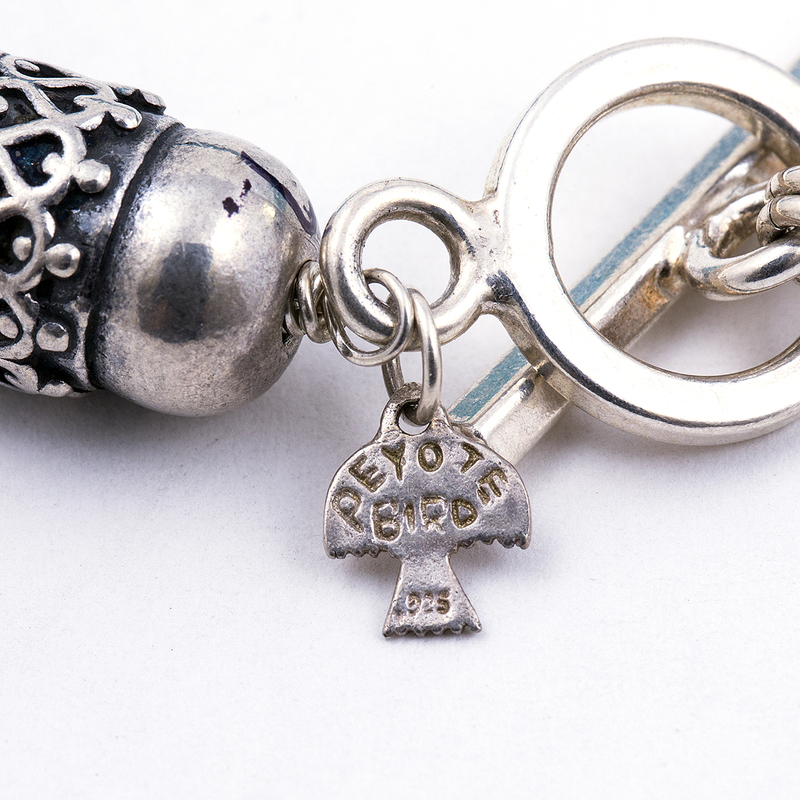 Hallmarked “Peyote Bird” and “.925”. Necklace weighs 149.3 grams. 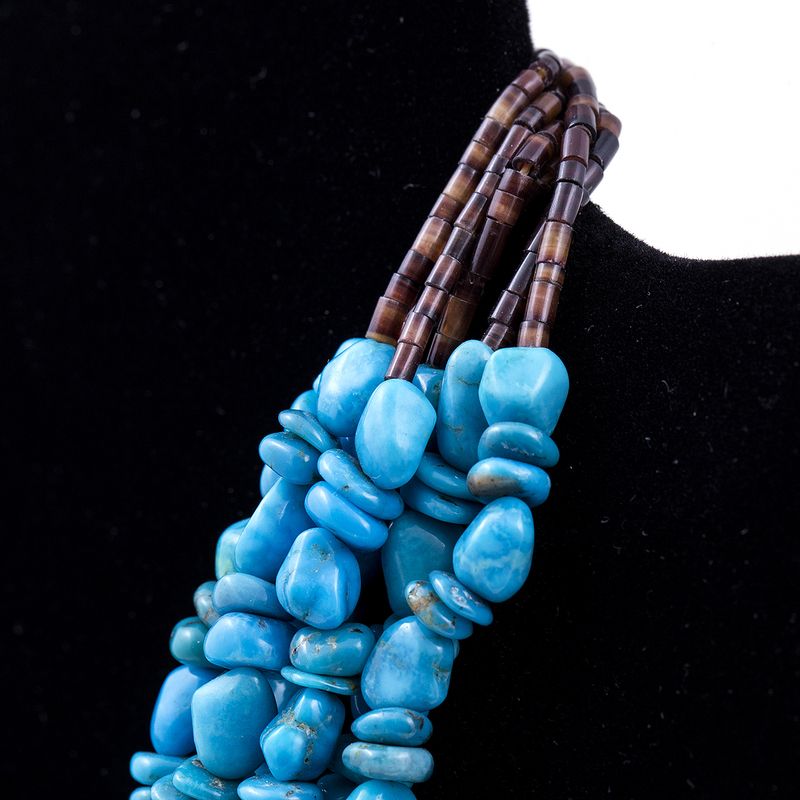 Peyote Bird Turquoise Bead Necklace handcrafted with beautiful and one of a kind Turquoise beads. 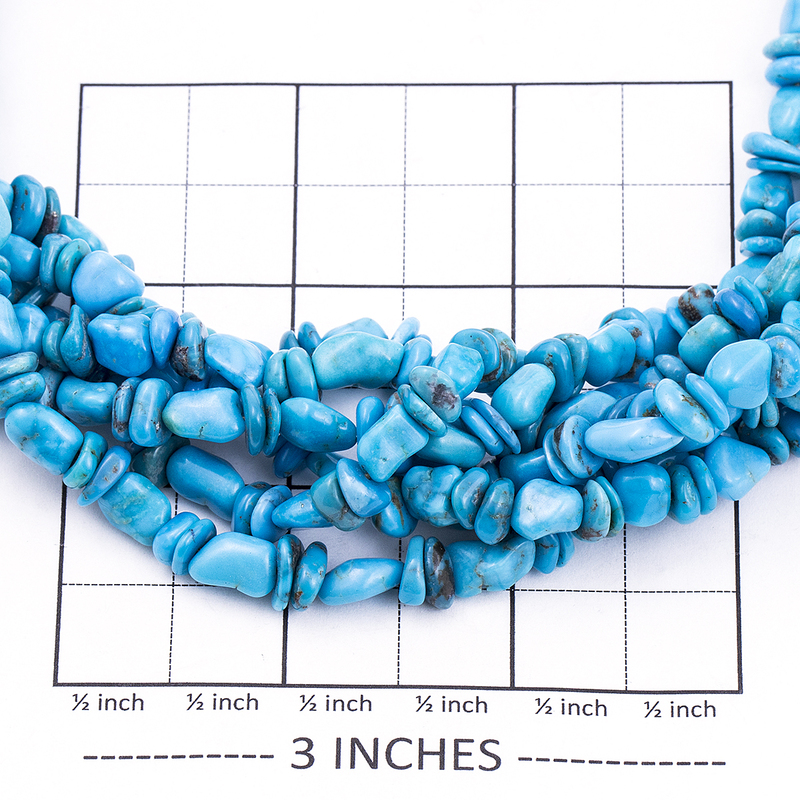 This 6 strand Necklace also features the use of Penshell.